What's it like to live in Tenerife? Not surprisingly, expat residents of Tenerife get asked this question A LOT. Of course, the answer depends on who you ask. If you are thinking about living in Tenerife, whether as a retiree, as a parent with young school-age children, or as a carefree single looking to work in bars and clubs for a year or so, you will be interested in finding out different things about life on the island. 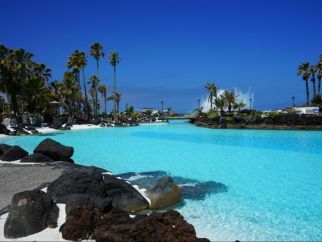 Let’s start with why 10 reasons why you might want to move to Tenerife in the first place. Puerto de la Cruz in the north of Tenerife is the perfect place for a weekend (or week) of people-watching, restaurant hopping, street cafe slouching and letting the world flow by. 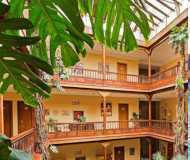 Find hotels in Puerto de La Cruz as well as things to do and numbers for local services like clinics and public schools. budget holiday accommodation in Tenerife? Tenerife holidays were once seen as an affordable and reliable option for holidaymakers on a budget but lately, that’s been changing. Flights are extortionate, costs for holiday apartments – even AirBnB – are through the roof and prices in bars and restaurants once you get here are rising too. So, is it still possible to find cheap hostels and budget hotels in Tenerife? That would be yes! 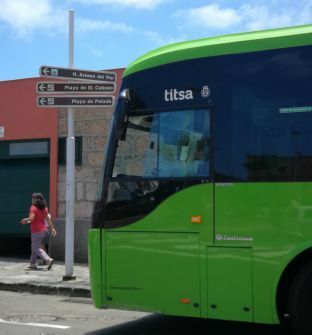 The Tenerife TITSA bus service is a cheap and convenient way to get round the island. There are bus stops at both airports with lines and connections that will take you anywhere you need to go. The older BONO card has been replaced with the new, refillable TenMas+ cards. It’s easy to purchase and refill at many convenient locations and worth doing as it offers significant savings. What else do you want to know about Tenerife bus services? Tenerife’s northern coast is stunning and completely different in character to the south. If you enjoy driving and have had enough sun, sand and sangria in the south then why not hire a car and take yourself on an adventure. Hikers and nature lovers will love the forests and remote villages, mountains, and panoramic views of Anaga Rural Park. Stop for lunch before heading back or book accommodation in Anaga and stay a few nights. A tale as old as time. None of the tourist scam articles on Tenerife are new. Sadly, it is the same old, same old as far as ripping off tourists on the island is concerned. The same dodgy camera shops too. Please read these cautionary tales before you buy camera equipment on the island.